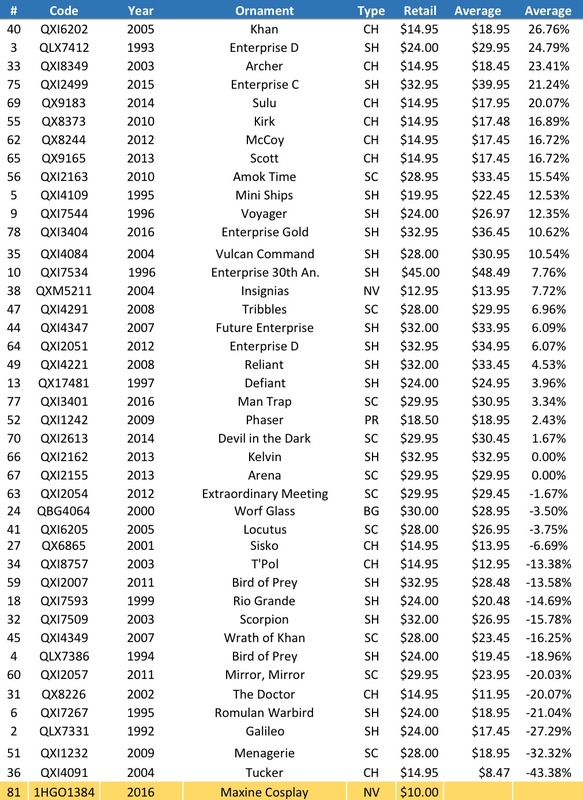 Prices based on average costs from hookedonornaments.com and hallmarkornaments.com. Ornaments on these sites are sometimes available at a lower price with a damaged box. Neither site is affiliated with this site. This site does not resell ornaments. Ornaments highlighted in gold are convention exclusives. Those highlighted in light gold are Limited Editions. Ornaments in green are not Keepsake Ornaments but Hallmark branded ornaments. Ornament types: (CH) Character, (SH) Ship, (SC) Scene, (NV) Novelty, (BG) Blown Glass, (PR) Prop, (TR) Tribute. This entry was posted in Hallmark Price Guides on September 15, 2017 by garfieldandtrump. Ornaments highlighted in gold are convention exclusives. Those highlighted in light gold are Limited Editions. This entry was posted in Hallmark Price Guides and tagged Christmas, Christmas Ornaments, Hallmark, Hallmark Ornaments, Star Trek, Star Trek Ornaments on April 6, 2017 by garfieldandtrump. 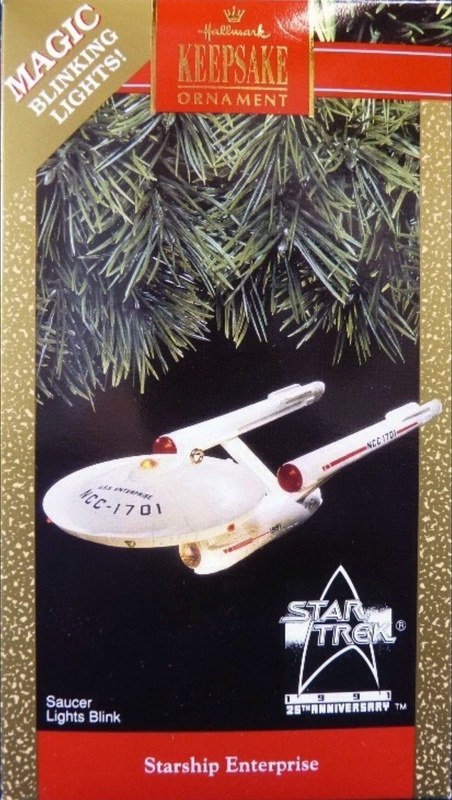 This entry was posted in Hallmark Price Guides and tagged 2017 Star Trek Ornaments, Christmas Ornaments, Hallmark, Hallmark Ornaments, Star Trek on November 29, 2016 by garfieldandtrump. 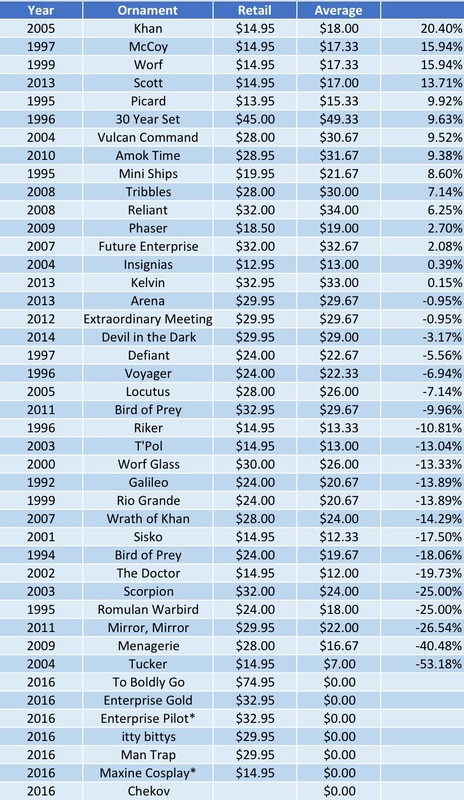 Secondary market values are based on the the average of the top three Star Trek Hallmark resell websites. All three on the list are convention limited editions. The U.S.S. Kelvin comes in on the list at number three. This battle-damaged ship was a repaint of the Kelvin from the same year. The Kelvin had a release of 1,575 at the 2013 New York Comic-Con. 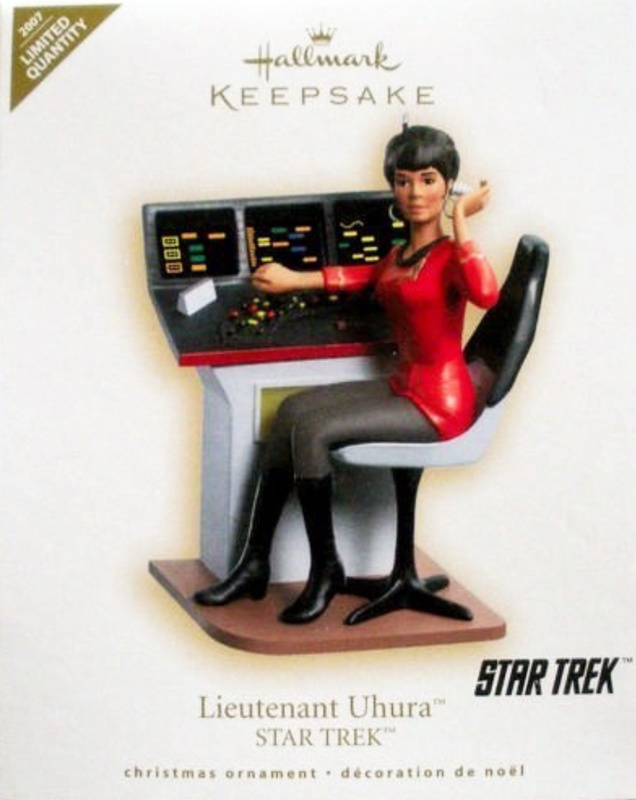 With an original price tag of around thirty dollars it is now listed at nearly $300 on websites such as startrekornaments.com, hallmarkornaments.com and hookedonhallmark.com. The 2011 U.S.S. Defiant, second on the list, was a repaint of the 2006 U.S.S. 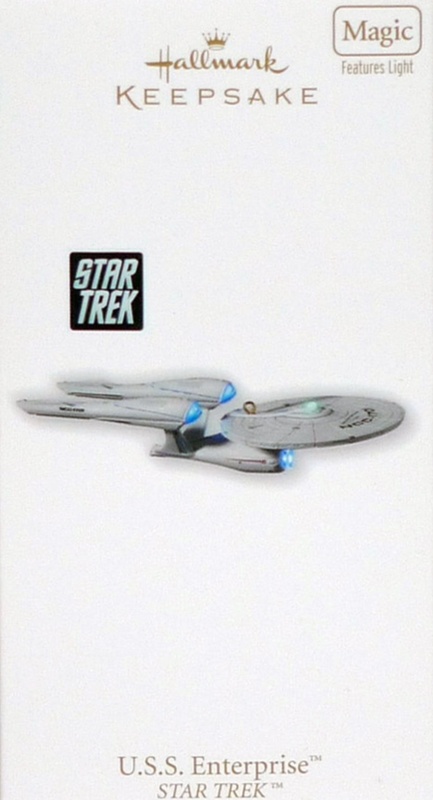 Enterprise with glow-in-the-dark paint and has proven to be highly sought after. There were 700 glowing Defiants released at the New York Comic-Con. Topping the list is the repainted gold-clad Uhura of 2009 from the San Diego Comic-Con. Sites across the Internet are asking nearly $1,200 more than the original cost for this limited run of 450 ornaments. 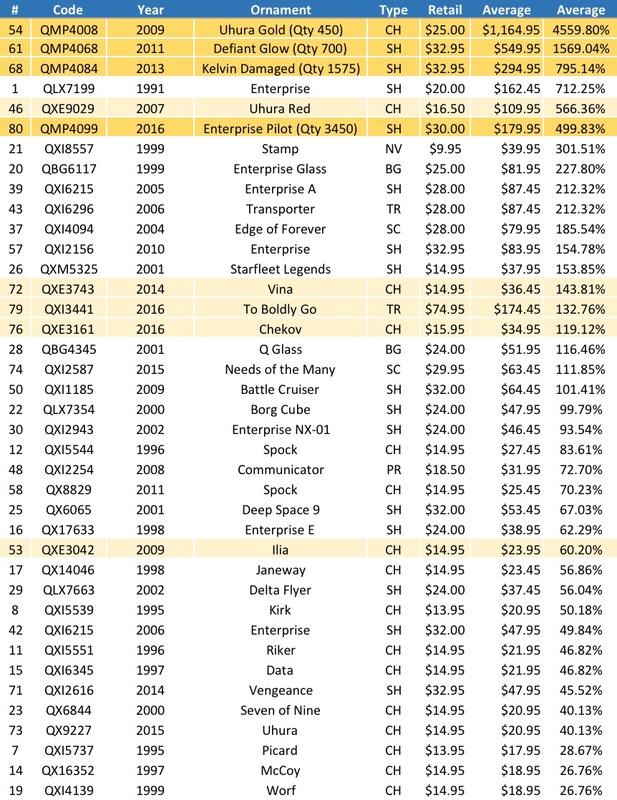 The gold Uhura was a repaint of the 2007’s Uhura bearing her more familiar red uniform which happens to come in on the list at #5.
keep in mind we have two event ornament coming out in 2016 no word on how many it will be limited to but they will surely rise in price or the next few years. 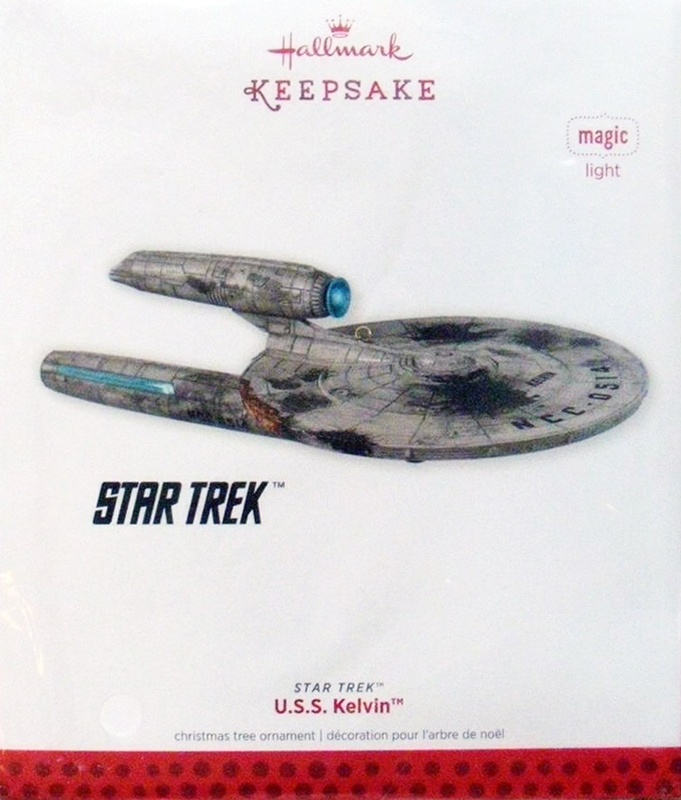 Keep your eye out got the “Pilot Version” of the Enterprise and the Star Trek cosplay ornament of Maxine. 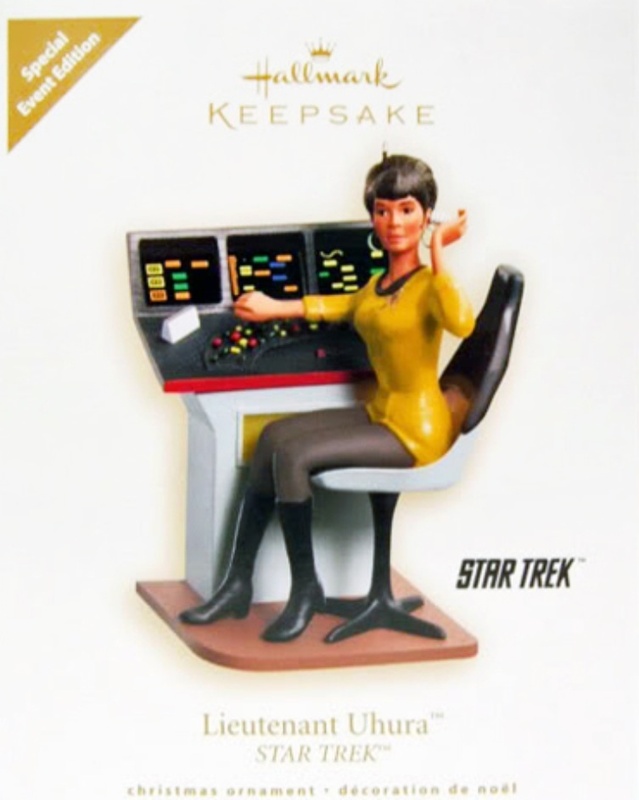 The Maxine ornament is a new take on Star Trek by Hallmark. We will have to wait and see how it performs in the secondary market. 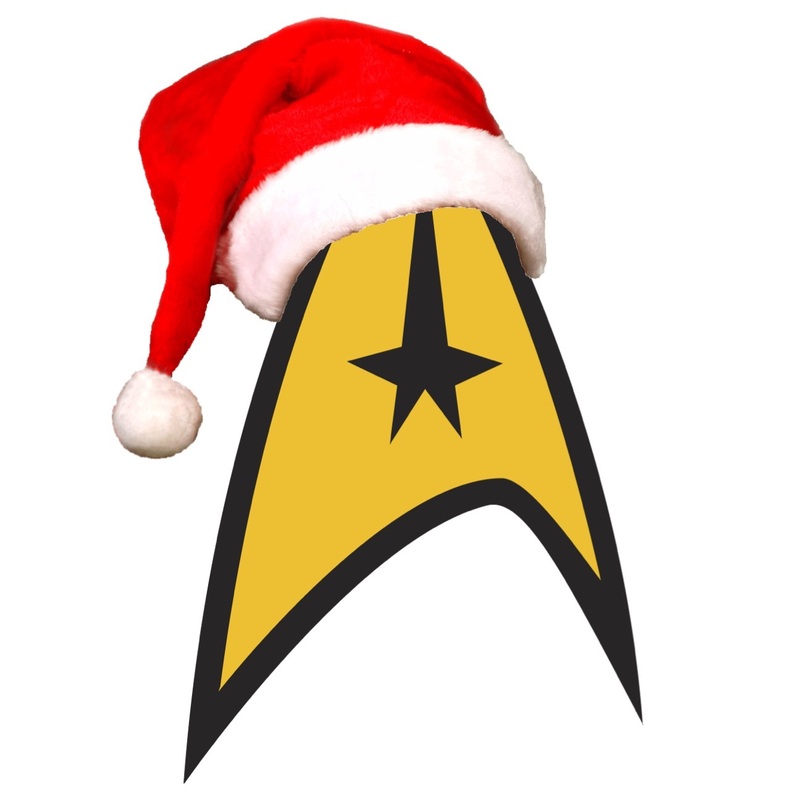 All in all, 14 Star Trek ornaments have more than doubled in price but buyer beware, there are some proven duds out there. 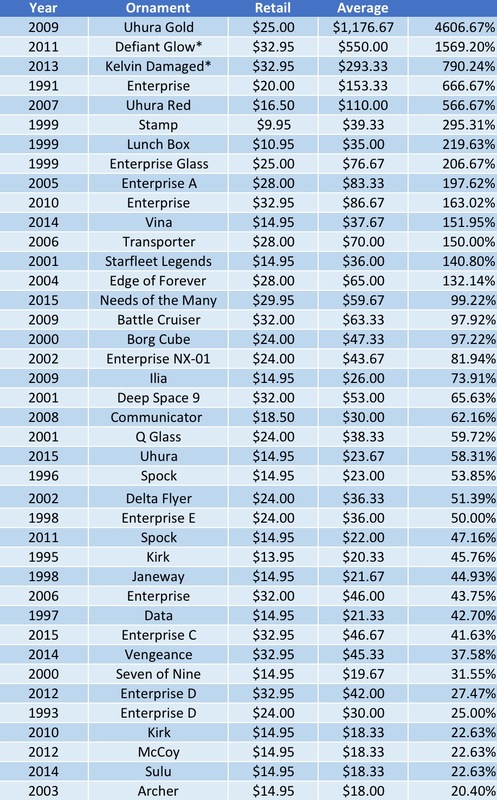 One doesn’t have to look further than 2007’s Trip Tucker of Enterprise fame which can’t fetch even half of its original cost. Sorry Trip. This entry was posted in Hallmark Price Guides on May 21, 2016 by garfieldandtrump. This entry was posted in Hallmark Price Guides on July 12, 2015 by garfieldandtrump.